ZIFA president Philip Chiyangwa's spirited bid to thwart and suppress his rival – presidential aspirant Felton Kamambo and Gift Banda, who is eyeing the vice-presidency — collapsed in embarrassing fashion yesterday after the world's soccer-governing body, Fifa ordered that they be allowed to contest in the Saturday elections, citing irregularities in the candidates selection process. 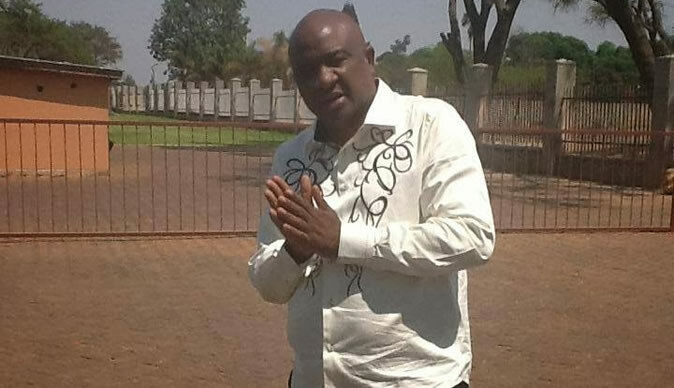 In a statement which defies legal logic and described as irrational, the electoral committee, chaired by Vusilizwe Vuma and which had earlier on disqualified Kamambo and Banda from participating in Saturday's elections, made a U-turn, saying the appeals committee chaired by Tafadzwa Mazonde had erred in upholding the decision by his committee. The development has laid bare a plot to rig the Zifa elections because it boggles the mind how a lower committee could overturn a ruling by a higher organ. In a statement yesterday, Vuma said Kamambo and Banda were now free to stand as candidates in the elections as the appeals committee had made errors while dealing with their cases. "The Zimbabwe Football Association electoral committee had noted that the appeals for Messrs Mlungisi Moyo, Gift Banda and Felton Kamambo were not dealt with in accordance with Article 12 sub-section 3 of the electoral code and as such, they are now eligible to contest in the Zifa executive committee elections," Vuma's letter read. But Mazonde, the chairperson of the appeals committee, said he was unaware of the development as his committee had not been briefed on the matter. "How can a lower organ overturn a decision made by a superior arm? Well, I don't know what you are saying," Mazonde said. "It does not make legal logic for a lower arm to overturn a decision made by a superior arm. Maybe Zifa knows better. Something is not adding up here. I am not in office anyway, to check the provision quoted therein," Mazonde said. The move comes as Fifa, the world football governing body, was now dealing with the Zimbabwe issue after Kamambo had lodged an appeal, requesting that elections be postponed until due process was followed. Kamambo yesterday said while he was happy that Fifa had intervened and allowed him to stand, there were still areas that needed to be addressed. "What is surprising is; why do we have different dates for these elections? These elections should be held on the same day. This all points to an attempt to rig the elections. Why is there this rush? That tells you these guys are trying to avoid a situation where a normalisation committee will be mandated to run the elections like what happened in Madagascar," Kamambo said. Sources at Zurich said Fifa's secretary-general Fatma Samoura's office had expressed disappointment as its name was being abused by Chiyangwa in his bid to avoid a challenge. "The issue was now receiving due attention, and we suspect Zifa was trying to avoid being investigated, hence, they rushed to overturn all decisions it had made against the trio. This, to us, was a pre-emptive strategy, however, done in a dull manner. How can a lower court overturn a decision made by a superior court? Such a decision should be made based on merit and not this clumsy way which lacks legal logic," a source said. Kamambo had been disqualified by the Vuma-chaired electoral committee on the grounds that he was suspended from all football-related matters despite that he had resigned on his own volition in March, on the basis that his term of office had expired. The former Zifa board then filed a notice of appeal against his disqualification, but a hastily appointed appeals committee, chaired by Mazonde, only delivered its judgment in which it upheld the earlier ruling by the electoral committee, well outside the prescribed dates, according to the Zifa electoral code. That violation of the electoral code formed the basis on which Kamambo wanted Fifa to intervene and postpone the elections.